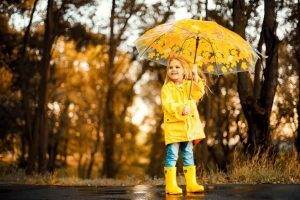 Ever since the ancient times, people have tried finding new ways of avoiding getting wet from rain, snow, and bad weather in general. 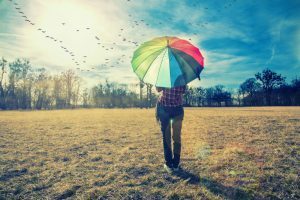 An umbrella is the most convenient way of doing so, but it has remained in an unchanged form for quite a long time. It was only recently that we’ve seen the arrival of inverted or reverse folding umbrellas. What’s the catch? Well, they fold in a reverse manner and are much more efficient in keeping you dry than their ordinary counterparts. The catch is that they tend to be more expensive than regular umbrellas. Let us show you one of the best-selling reverse folding umbrellas on the market, so you can get better acquainted with the whole craze. 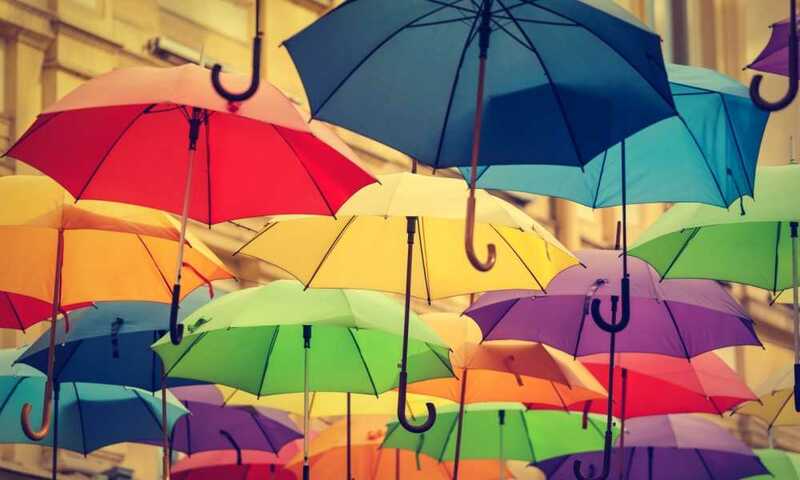 The whole idea behind the inverted umbrella is that it opens much more easily and conveniently than the ordinary type. 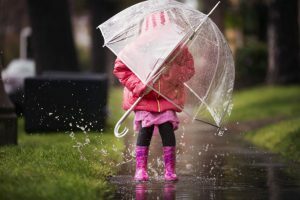 The very instant that you open the door of your car or your home, you open the umbrella and it keeps you from getting wet. 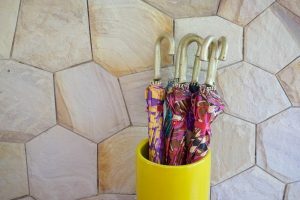 Dryzle has introduced their interpretation of the idea and embellished it with several other cool features, such as the C-shaped handle, which makes it possible to hold the umbrella without actually using your hands. 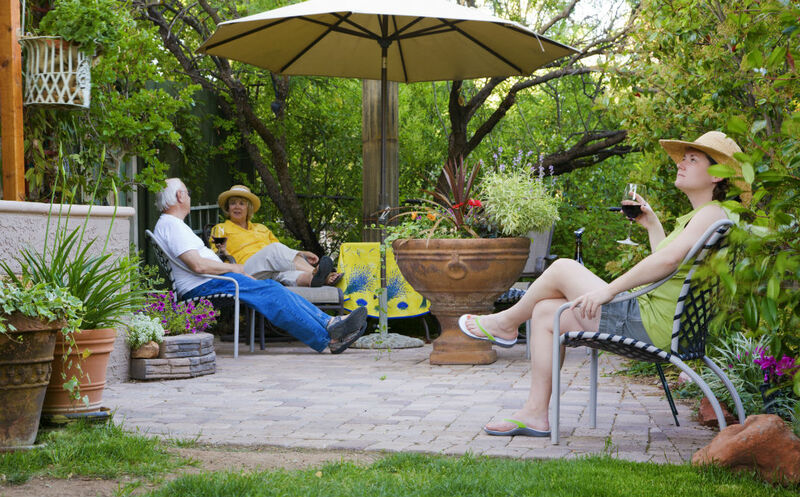 This is a product designed basically for every human being who needs to get out from time to time, especially for those who spend a lot of time outdoors and those who live in an area where it’s often rainy. These umbrellas are designed so that they stand on their own once they are folded, and the design prevents your floors from getting wet. 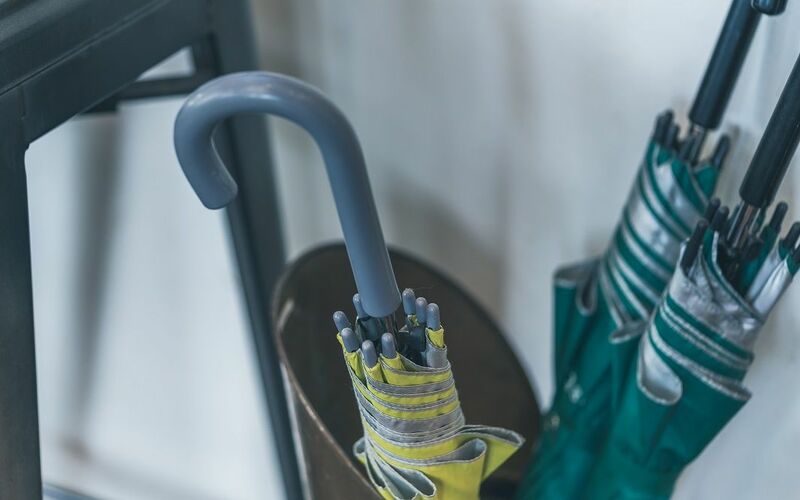 The shape of the handle makes it easy to carry the umbrella while keeping both your hands free. This means you can send an email on your phone, or perhaps hold your toddler. Also, wheelchair users can benefit greatly from reverse folding umbrellas with C-shaped handles. Once you open the packaging, you’ll be greeted by your new Dryzle inverted umbrella and a neat carrying bag. 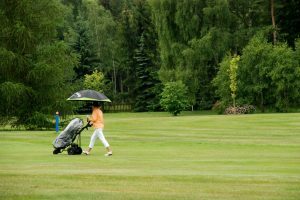 Unlike some products on the market, the Dryzle umbrella comes with a bag which can be used for carrying your umbrella around on the shoulder, in case it isn’t raining at the moment. Obviously enough, the most important feature of the Dryzle umbrella is that it sports the inverted design. It opens up more conveniently unlike regular umbrellas, which is handy when exiting your car directly into the rain. Also, once you get back in from the rain, you won’t soak the floors or the interior of your car. The Dryzle is designed so that it can stand on its own when folded. As it folds in a reverse matter, it will also hold all the raindrops and not make a mess all around it. It is also a nice touch that the umbrella comes with an auto-open function. Simply press the button and the umbrella will pop open instantly. Unfortunately, the button will not fold it back automatically and you need to do it yourself, manually. The construction seems rather sturdy and it involves a double layer canopy, made from heavy-duty cloth. This means that it can withstand relatively strong gusts of wind, and you don’t have to worry about the whole thing collapsing down. 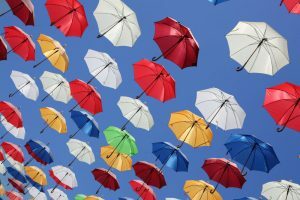 Perhaps the thing that best describes Dryzle’s confidence in their products lies in the fact that they offer a 90-day replacement warranty on each and every umbrella they sell. 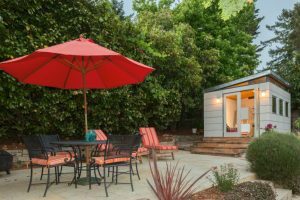 Those of you who like spending a lot of time in the sunlight will greatly appreciate the fact that the canopy offers UV protection. 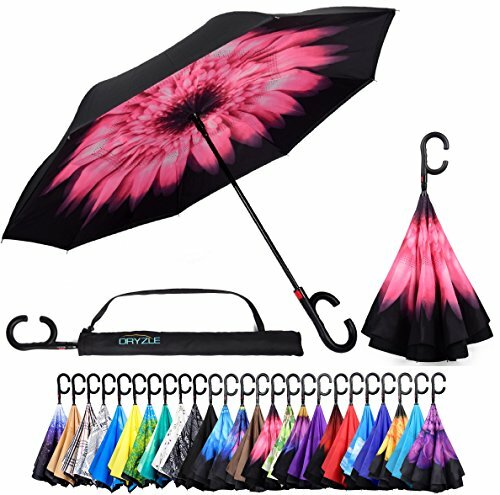 Last but not least, it’s worth pointing out that the Dryzle inverted umbrella comes in 25 different color and pattern options and those include: black, black newspaper, blossom, blue camo, blue daisy, blue drops, brown, brown checkered, green camo, green forest, green shade, pink daisy, purple, purple daisy, red, red rose, rose gold, sapphire blue, sky blue, starry sky, sunflower, teal, violet flower, white newspaper, and yellow. 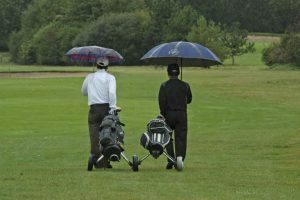 In recent years, the market for reverse folding umbrellas has grown quite big, as people are always searching for new ways of improving the age-old rain repellent. If these are not enough for you, maybe you should try out the Repel Windproof Travel Umbrella with Teflon Coating. This new technology actually repels water so your umbrella stays dry at all times. It’s been a while since we last saw a simple product like an umbrella get such a magnificent update, both visually and practically. These umbrellas have definitely started a little revolution and are here to stay. Would you care to give yourself a Dryzle?